Home / Archive by Category "Fertilizer"
Forming proteins essential for the plant’s metabolism by breaking down nitrogen in the ground. As such, plantation owners should always take care to ensure their plants get the correct amount of Boron at any given time. Why should we target Borate fertilizer application? Targeting your borate fertilizer means applying it where it is needed the most. The ideal average rate of Boron at any given time should be between 0.5 to 2.0ppm. The plant does not regulate the uptake of Boron and it’s something that happens passively. This is why it’s up to the farmers and planters to keep the level of Boron in the soil at its optimal level. Too much of Boron in the soil is toxic to the plant, but too little and the plants will suffer from malnutrition and start showing unhealthy symptoms. Oil palms are particularly sensitive to B deficiency and it will affect their productivity in a significant manner. Targeting Borate fertilizer application eliminates the problems of you applying too much or too little at one time. Targeting Boron application also saves a lot of resources. Borate fertilizers tend to leach out a lot and when they travel beyond the reach of the palm’s roots, they become useless to the plant. 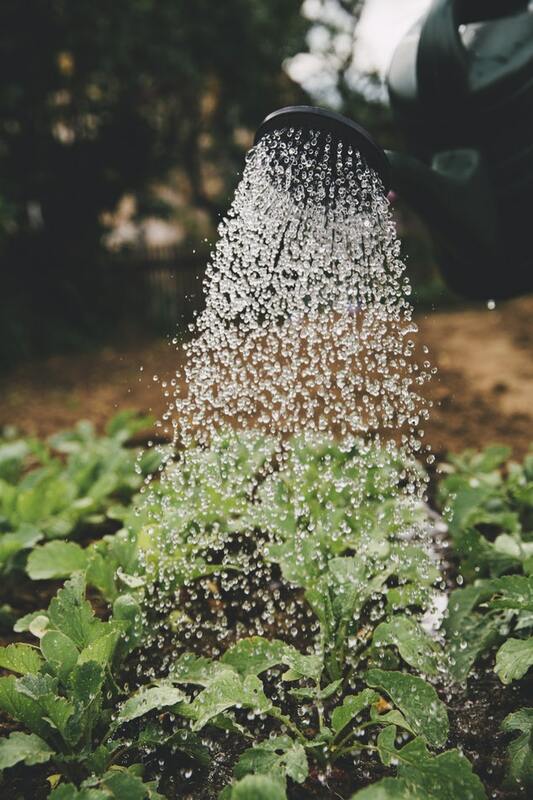 Knowing where to place your Borate fertilizer at any given time will mean that less of it leaches out into the soil. Certain types of soil leach Boron faster than others. These include soil that is alkaline and soil that is sandy. Sandy, non-irrigated soil with very low organic matter, especially those near coastal areas or near the sea, tend to leach out nutrients faster as they allow more water to flow through. 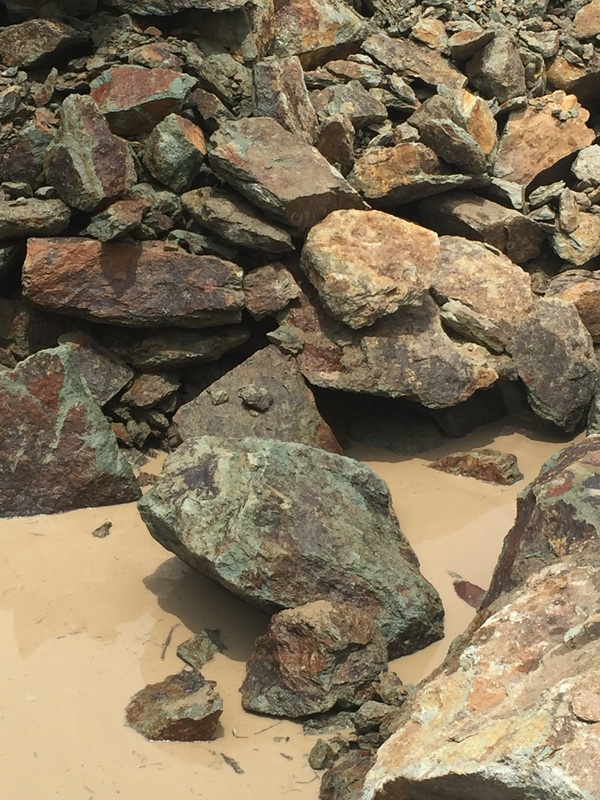 Soil that can’t hold water well also can’t hold on to nutrients well. If your plantation has either one of these, you have to be extra vigilant to know when to apply more. Test your soil at least once every month for Boron levels. That way you’ll know for sure which area is low in this micronutrient. This strategy works better than applying it blindly everywhere at the same time, with the same volume. 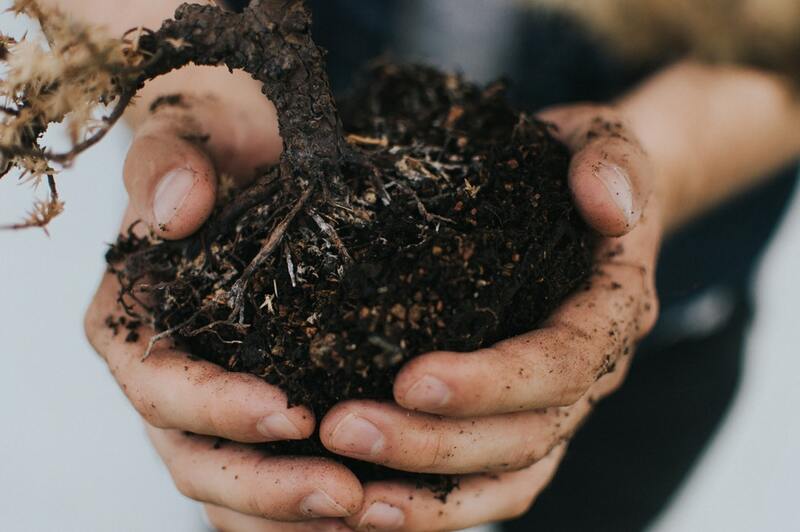 Symptoms like orange or brown spots, dying leaves and others are clear signs that something is wrong with the soil. Follow these foliar symptoms up with a soil strip test to know whether the level of Boron is adequate or not. Targeting your Daebak Borate Fertilizer needs a bit of effort, where you’ll have to know your whole plantation status at every moment. However, it’s definitely possible if you combine various testing and assessment methods and do these tests at regular intervals. Every region around the globe faces extreme weathers once a while. Some days will be too hot while someday will face violent rain and storms. In these extreme weather, it is very easy for young plants to be uprooted or damaged in the heavy rain and wind, and to dry up and die off in the extreme heat. In these weathers, it is important to take good measures to look after your plants. 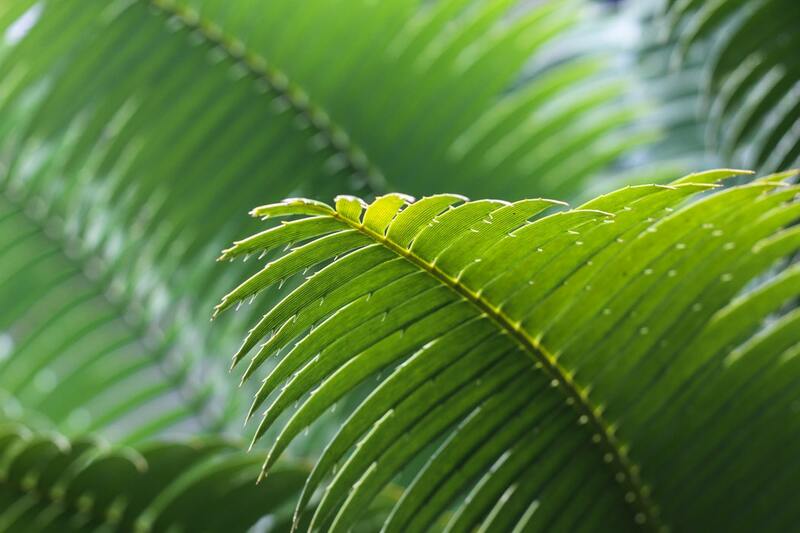 Shared below are some tips to ensure your plants’ good health in extreme weathers. To protect the roots of a young plant, spread mulch around the roots of the plant. A three-inch layer of mulch can protect the plant for after rain cold damage. 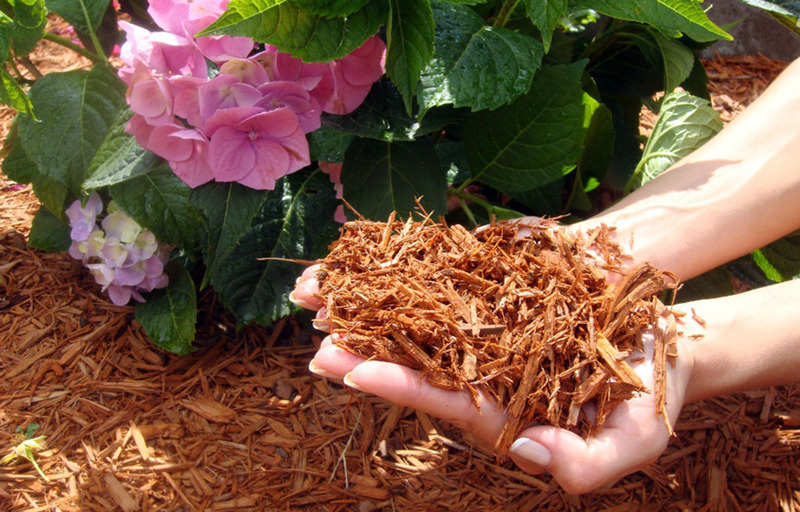 Some examples of mulch include grass clippings or wood chippings. To protect the plant from getting damaged due to strong winds, you can simply cover the plant using a pail or bucket. This will prevent the strong wind from ripping off the tree leaves and fragile branches of young plants. On hot days, your plants can easily dry up. 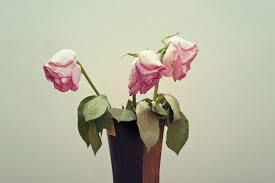 One easily noticed the sign of dehydration in plants includes softened leaves. In order to help your plant stay hydrated, place some mulch about three inches around your plant. The mulch will store water once you water your plant and will allow the plant to obtain water from it. Next, place some shade cloth over your garden. This will help block out extra sunlight but enough to enable your plants to carry out their vital processes for a living. Be careful not to place the shade too close to your plants. They need space to breathe too. Fertilizer plays a very important role in today’s world. For instance, fertilizer helps to ensure that the food source is adequate for the world. Other than that, we are also able to enjoy larger, and more delicious produce that results from fertilizer usage. Economically viewing the issue, fertilizer usage has also created a vast variety of jobs and also sustained the global economy. With the correct handling, fertilizer undoubtedly brings lots of positive effects. However, what happens if the fertilizer industry is handled irresponsibly? What if farmers started to misuse fertilizer? For one obvious effect, if fertilizer usage was abused, the less developed countries could face starvation. If the more developed countries decided to manipulate the fertilizer business, less developed countries will not have enough food to sustain their population, and thus, causing starvation. On the environmental view, it can be very dangerous if fertilizer was used irresponsibly. One of the main effects of over usage of fertilizer is the depletion of the soil quality. Though we may think that using more fertilizer makes the soil more fertile, it is actually the opposite. When too much fertilizer is used over the long run, the acidity of the soil increases, making it infertile for growth of plants. 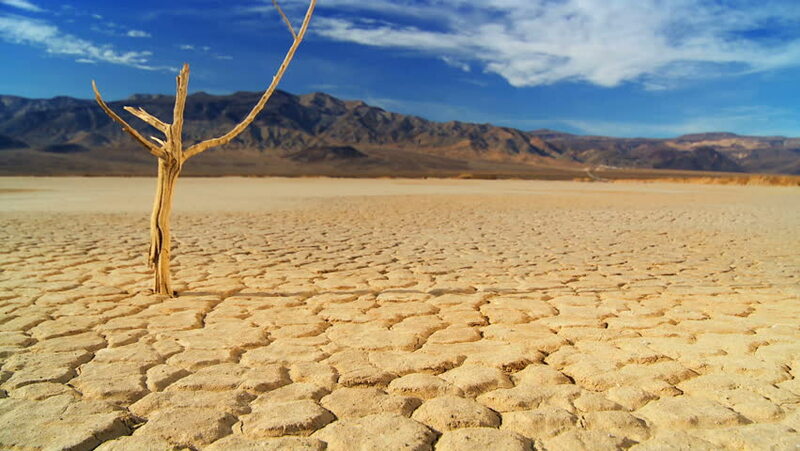 Over the years, the soil would not be able to grow any plants and would become barren. Other than that, when fertilizer is used at a higher dosage than it should be, there if more run off of fertilizer into the neighboring lakes and ponds. This phenomenon is known as eutrophication. 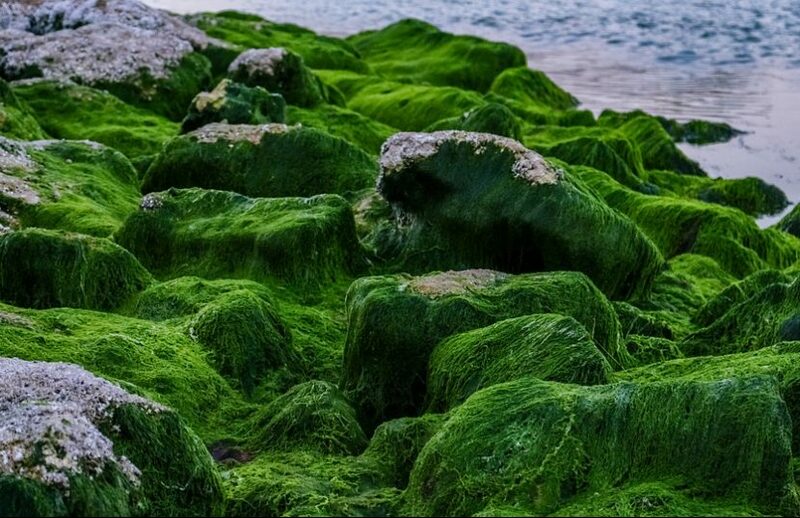 The run off contains nitrates and phosphorus which promotes the growth of algae on the surface of water. With the algae covering the water surfaces, oxygen either reaches to the aquatic life at a very low rate or none at all, slwoly killing the fauna. Other than that, sunlight also has trouble reaching the base of the water bodies, thus killing the flora which is the source of food for many living organisms under the water surface. Zeolite is one of the lesser known elements in fertilizers that we don’t talk about much. Most of the time, we tend to focus on the main components of fertilizers, namely N, P and K. However, Zeolite is equally important in agriculture. In general, Zeolite has uses in many industries. These days, it’s widely used as a catalyst in the petrochemical industry, as part of processes known as catalytic cracking and hydrocracking. Additionally, it also has uses in solar energy, refrigeration and in the production of medical oxygen. In history, the first time Zeolite actually makes an appearance is during the Roman Empire (27BC – 395 AD). They were used as part of the pebbles and stones to filter water brought by the aqueducts. This early system of waterways brought water from the rivers and streams surrounding a city, straight into the city so that it flowed from springs along the streets. In ancient China, Zeolite has been crushed and added to medicines, since it has been documented to absorb certain toxins. The first modern scientist to coin the term ‘Zeolite’ was Axel Fredrik Cronstedt in 1756. He was a Swedish mineralogist who classified it as a group of minerals that contained water. However, Zeolite did not gain prominence until the 1960s and 1970s, where it was used in the United States to remove ammonia and radioactive materials from wastewater. Since then, Zeolite has gained a lot of other uses. The largest impact is of course the removal of Radiocative waste from Chernobyl and Fukushima, the biggest nuclear disasters of the century. Why Do Your Plants Need Zeolite? When you apply NPK fertilizers to the soil around your plantation, not all of it reaches your plants. Some of it will be lost through volatilization, which is when Nitrogen becomes ammonium gas after coming into contact with air. 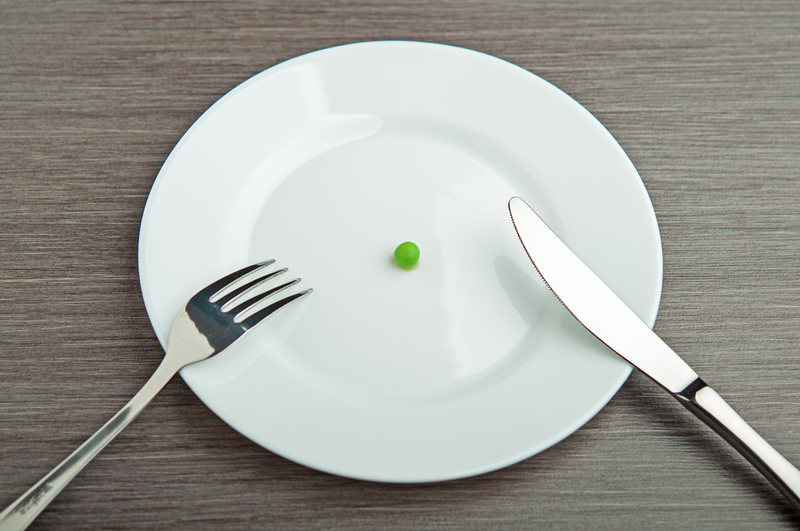 Another portion will be lost to leaching. This happens when water from rain or from sprinklers wash the nutrients deeper into the soil and away from the reach of the plant roots. 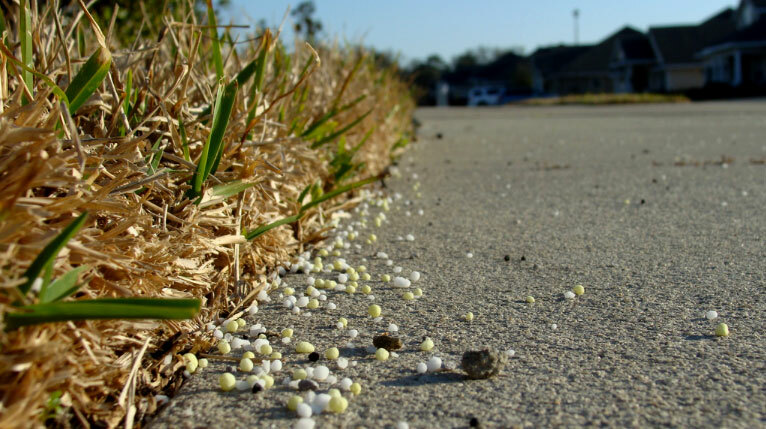 Leaching is actually very wasteful and reduces the effectiveness of your fertilizers. Adding Zeolite reduces the wastage of N,P and K in your fertilizers significantly. Zeolite binds the nutrients and only releases it when after some time due to temperatures in the soil. This prevents leaching and volatilization as Zeolite ‘holds’ the nutrients for your plant roots much longer. At Everchem, we have personally ensured that our Daebak Zeolite is of the best quality. Our Zeolite comes to you from Indonesia, where it is mined, processed and packaged on the spot in the most hygienic and modern methods. 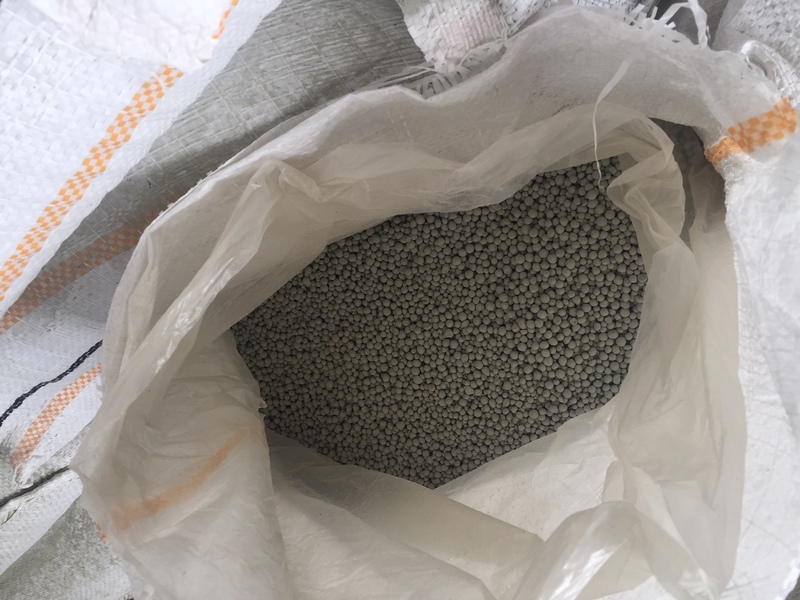 Zeolite is part of our Daebak Slow Release Fertilizer, which is a type of fertilizer that makes N,P and K available to your roots for longer and in abundance. The next time you see Zeolite in your fertilizer mix, you’ll know what it’s for. If you’re currently using regular fertilizers without Zeolite, why not try our Daebak Slow Released Fertilizers for increased plant nutrition. THE oil palm industry has played an important role in the economy. 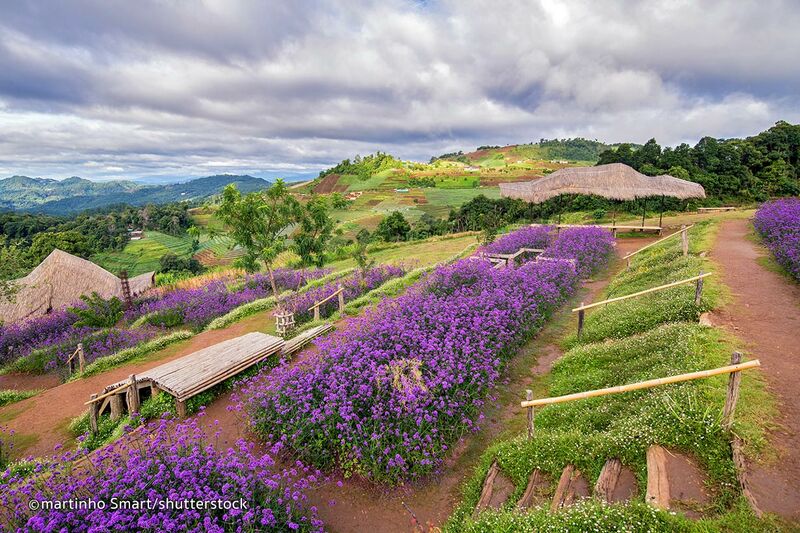 The planted area expanded from 55,000ha in 1960 to 5.849 million hectares last year. In tandem with the area expansion, the production of palm oil also grew from less than 100,000 tonnes in 1960 to 19.516 million tonnes last year. This expansion, especially in the 1960’s, was encouraged by the diversification strategy of the government, which recognised palm oil as a complementary crop to rubber. The oil palm industry contributes 4.67 per cent to the country’s gross domestic product (GDP), and 46.6 per cent to the agricultural GDP. Total exports of palm oil products were 23.97 million tonnes in 2017 with an export revenue of RM77.85 billion. Palm oil export earnings stood at RM46.12 billion. The global market is expected to grow with the world’s population and income, increasing biofuels production, accelerating economic growth, especially in developing economies, and growing applications. Despite these achievements, palm oil continues to receive criticism for alleged links to deforestation, climate change, health effects and market restrictions in terms of tariff and non-tariff trade barriers. 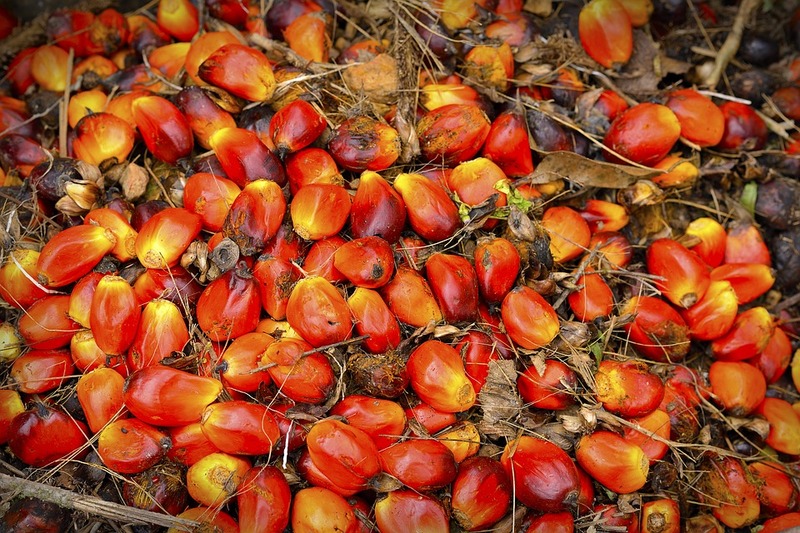 This has led to lower demand for palm oil-based products and export market access. Added to these challenges is agricultural commodity price volatility and instability. Price volatility is almost an inherent feature of commodity production due partly to inelastic supply and demand. Crude palm oil (CPO) prices dropped to three-year lows in November and December last year amid high stock levels in Southeast Asia and weak demand. Stocks were reported at a record high of three million tonnes. Exports dropped by 12.9 per cent month on month to 1.38 million tonnes as buyers — such as China, the European Union, Pakistan and the Philippines — bought fewer Malaysian palm oil products. Last year, the average CPO price was RM2,267 per tonne against RM2,817 a tonne in 2017. 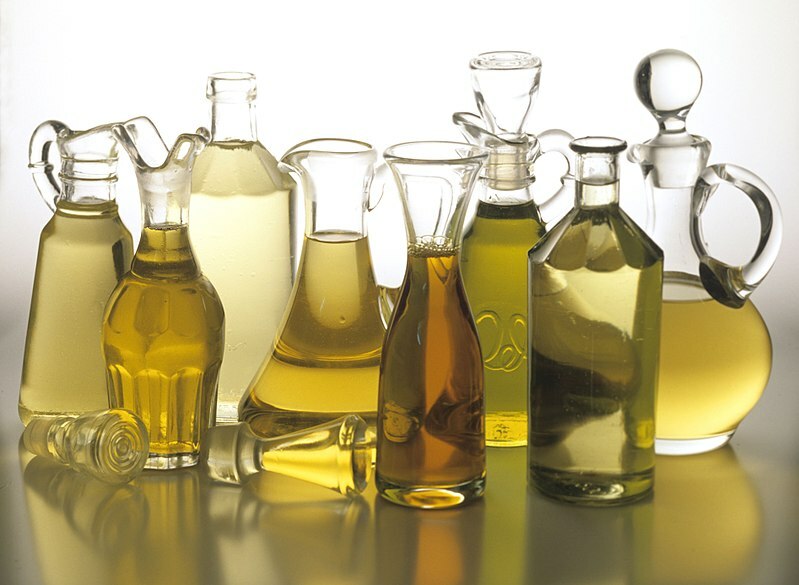 Other than fundamental factors of supply, demand, and stocks, palm oil prices are also affected by the price movements of soya bean oil, which competes for a share of the global vegetable oil market, and influenced by crude oil because the edible oil is also used as feedstock to make biodiesel. The prices rebounded in January and last month to RM2,037 and RM2,100.50, respectively, compared with November and December prices of RM1,830 and RM1,794.50, respectively. 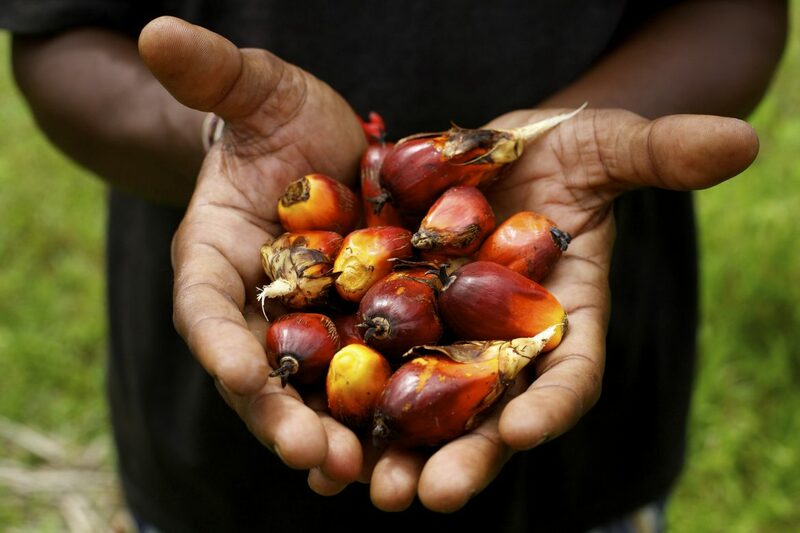 The general opinion is that the prices of crude palm oil and other oils depend on the outlook for palm stocks. It is predicted that stocks will fall till mid-year, in line with seasonal production trends, which will lift the crude palm oil prices, especially if Indonesia maintains its heightened pace of biodiesel use. Crude palm oil prices are expected to rise to between RM2,200 and RM2,300 per tonne by June on a seasonal decline in stocks. Prices will also increase as India, one of the largest importers of Malaysian palm oil at 2.514 million tonnes last year, reduced import duties on crude palm oil from some countries, including Malaysia and Indonesia, to 40 per cent from 44 per cent and on other palm oil to 45 per cent from 54 per cent. 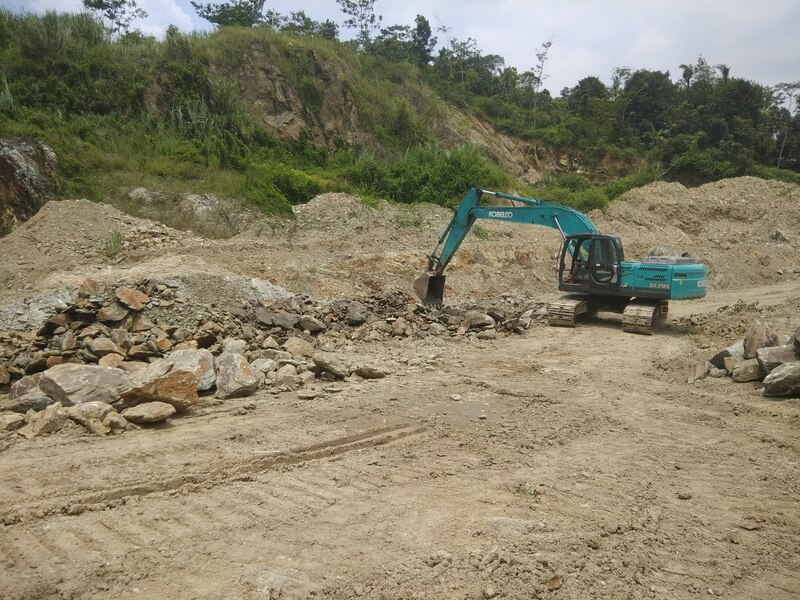 For this year, though supply of CPO will remain ample due to steady production growth in Indonesia, consumption will grow by a strong five per cent year on year, at the fastest rate recorded since 2013. With low stock levels and firmer soya bean oil and crude oil prices, CPO prices are forecast to be higher this year than last year with at an average price of RM2,300 per tonne. What if fertilizer was never invented? Fertilizer is well known for its purpose in increasing food production. It is also known to produce more beautiful landscapes with fresher flowers and trees. But what would have happened if fertilizer was never invented in the very first place? For one obvious effect, if fertilizer was never invented, the would have been a lack of food for consumption in most of the developing countries. Fertilizer acts as an aid in growing more food resources. 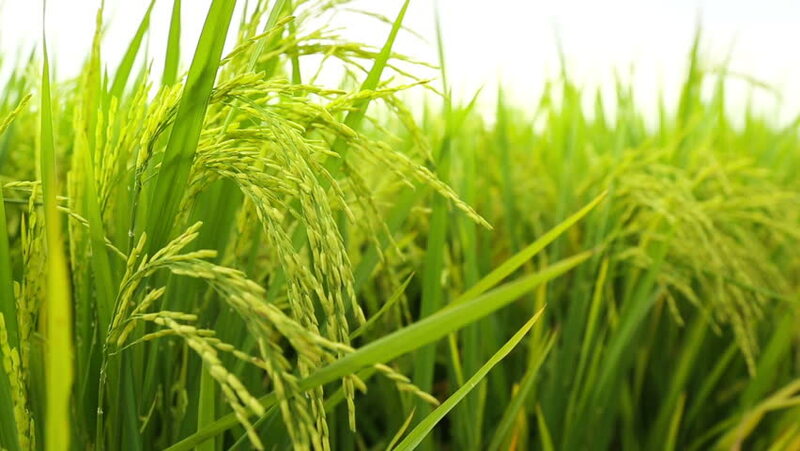 The most common food sources that depend on fertilizer to increase their yield include rice and wheat which are the most consumed food sources around the globe. If fertilizer was never invented, these food sources would have gone scarce and caused starvation especially in the developing countries. It is estimates that one thirth of the population would have starved to death without fertilizer. Other than that, the non-existence of fertilizer would have highly impacted the agricultural industry. 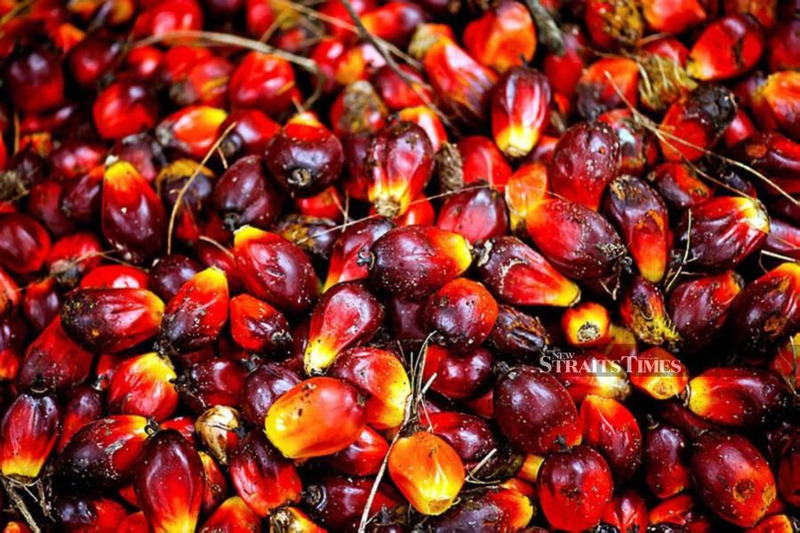 For instance, if crops like oil palm and other fruiting trees were not fed with enough fertilizer, we might not have been able to enjoy large juicy fruits nor would we have been able to produce palm oil from oil palm seed at a high scale. Landscapes would also look less attractive or colourful without fertilizer. On the other hand, if fertilizer did not exist, our water sources pollution could have been lower. This is so, phosphorus run off from fertilizer to neighbouring lakes would have been lesser or none at all. 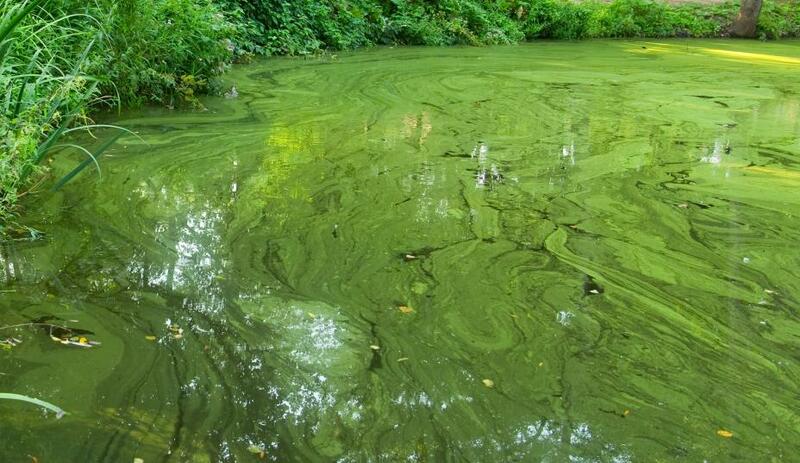 Phosphorus run off causes eutrophication which in return kills aquatic animals. The palm oil industry is a major pillar of the Malaysian economy and it contributes towards economic prosperity and development through its substantial export earnings and employment. Love MY Palm Oil campaign is an initiative by the Ministry of Primary Industries, undertaken by the Malaysian Palm Oil Council to instil pride and greater appreciation of the benefits of Malaysian palm oil. The campaign focuses on socio-economic, health, nutrition, food, environment and non-food aspects of palm oil. This year-long campaign encompasses promotional and physical activities at the national level through educational elements combining visual appeal, aesthetic value and social media platforms. It also engages Malaysians from all walks of life through various community-based events. 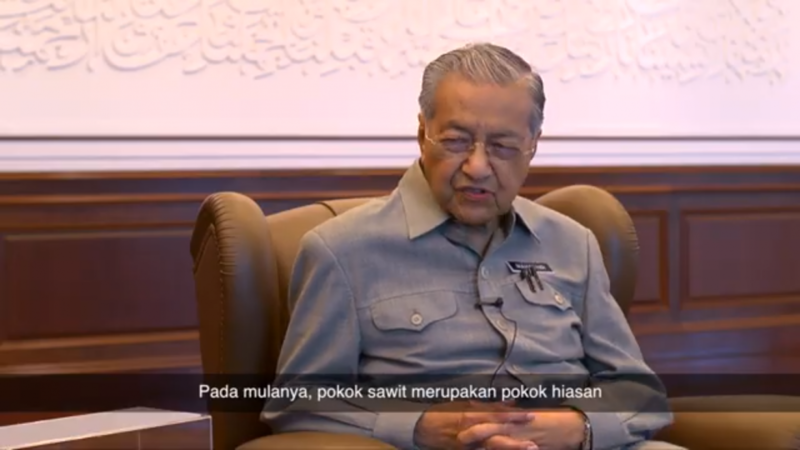 This campaign is supported by our Prime Minister, YAB Tun Dr. Mahathir Mohamad, in a special video message to drive home the importance of Malaysian palm oil to all of us. 2019 appears to be starting in the right direction for the Malaysian oil palm industry. In recent years, the Malaysian palm oil industry has faced rising challenges of restrictions in export and worldwide demand. The leading issue would of course be the European Union’s growing anti-palm oil sentiment, driven by allegations of deforestation and the industry being environmentally unfriendly. Although Malaysia and other oil palm producing nations have stepped up their efforts to dismiss these allegations, the EU seems poised to limit and eventually phase out palm oil, especially in vehicles and machinery. As such, palm oil sales have to be focused elsewhere. China has been purchasing palm oil from Malaysia for a long time. With the EU market under threat, Malaysia has managed to convince China to increase their purchases. In part, China’s increasing demand of oil palm is due to a drop of soybean oil demand and the need for more vegetable cooking oils. In addition to just cooking, palm oil in China will be used in other industries such as the chocolate making industry, food processing industry, pharmaceuticals, soaps and more. Currently, China is the second largest importer of palm oil after India. 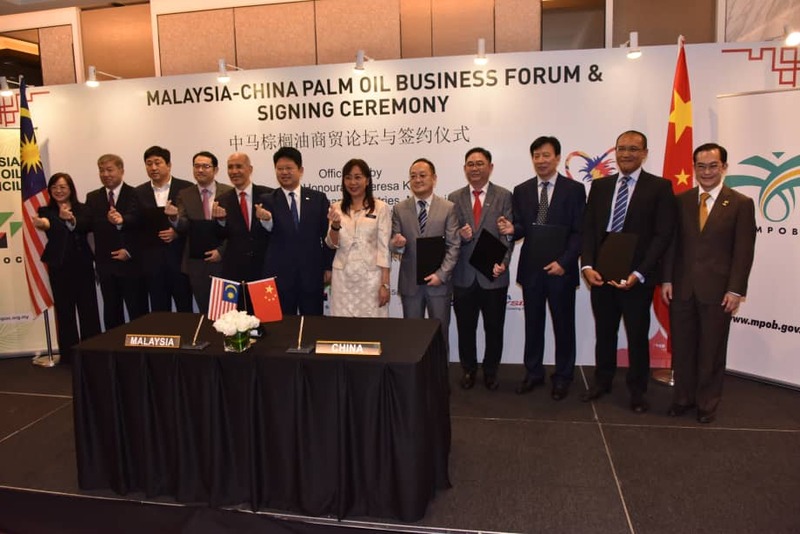 On March 4th, 2019, Malaysian Minister of Primary Industries, Theresa Kok witnessed the signing of purchase intent documents involving three Chinese companies which will buy products from four Malaysian companies. At the signing of the purchase intents during the Malaysia-China Palm Oil Business Forum, China’s ambassador to Malaysia, Bai Tian mentioned that there is still room for more purchases. He stated that China has not placed a ceiling on the amount of palm oil and palm oil products that China can import. Among the new fields that China is looking into developing is biofuels and this of course calls for and increased supply of palm oils in the country. In total, China’s import of palm oil in Malaysia is set to grow about 50% year on year in 2019, as compared to the year before. In addition to boosting exports of palm oil to China, Malaysia is also taking steps to cap the amount of land opened for oil palm growth, as an important step to allay fears in the EU about deforestation. The increased demand for palm oil and declining reserves are serving to gradually increase and stabilize oil palm prices for 2019, which is good news for small holders in Malaysia. If you’re a smallholder, this is the time to work hard and make hay while the sun shines. The living produce is a recently developed concept which is based on the idea of selling plants, mostly vegetables, to the market without disconnecting them from the roots. 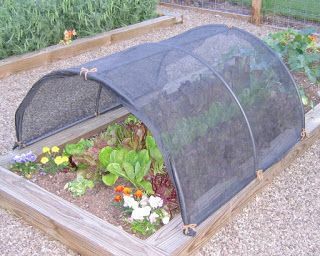 The plants are protected in a clam shell which acts as a greenhouse. A clam shell is a plastic made into the shape of a clam which has its cover intact. The clam shell protects the plants by ensuring that the moisture that escapes from the plants is captured in the shell and is reabsorbed by the plant roots. Commonly, green vegetables such as salads and lettuce are grown and sold according to this trend. One of the reason why selling living produce is good is because the taste of food will be enhanced. For example, if you use herbs that are sold by this trend, you tend to get a fresher produce which in return enhances the taste of your food in comparison with the herbs that have been placed on the shelf for a few weeks before being bought. Other than that, living produce allows you to store the vegetable for a longer period of time after buying it. For example, if you bought a lettuce and have used just a few leaves from it, you can still put it on your kitchen counter can let it grow as the roots will still be intact. 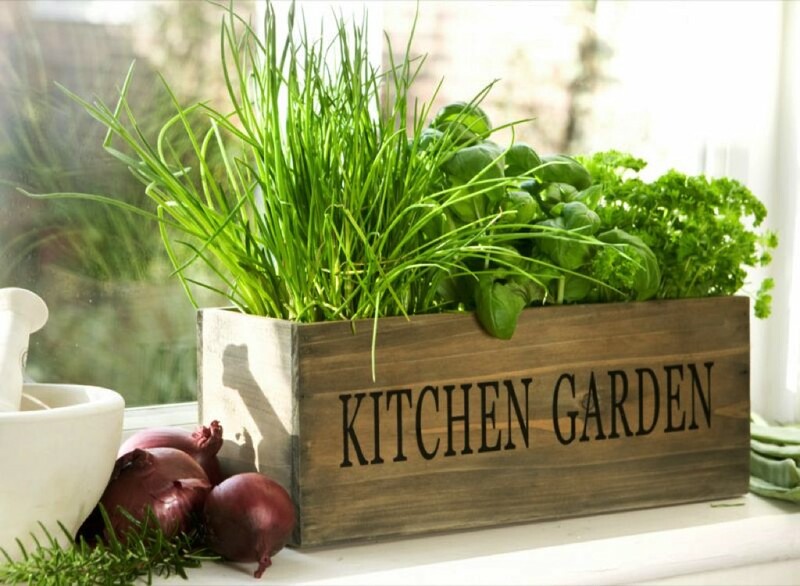 Next, you can grow your own mini garden on your kitchen counter or window sills. 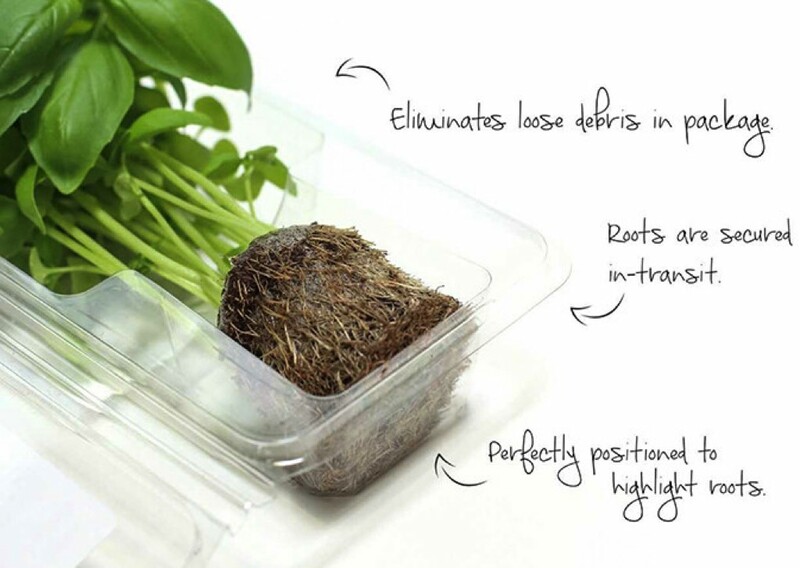 Since the living produce sold comes with roots, it is convenient enough for you to be able to regrow them while getting the freshest produce with the optimum nutrient content. 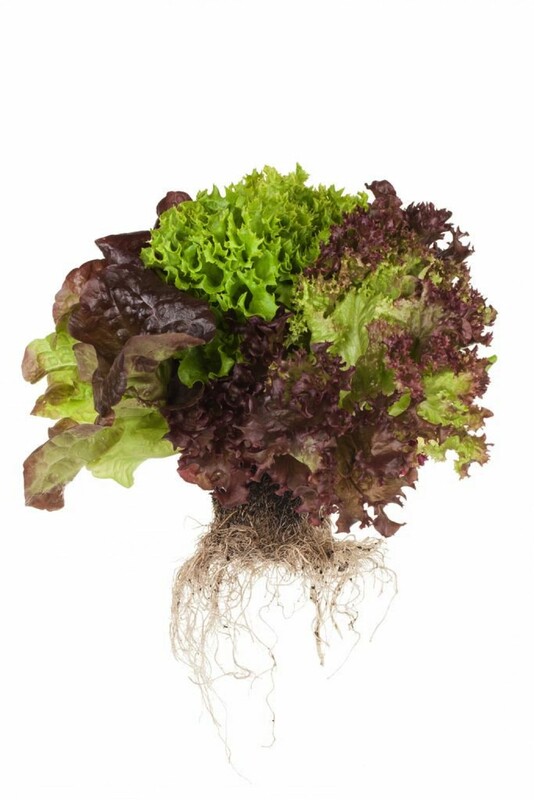 Hydroponic refers to a method of growing plants without the use of soil but by using a nutrient rich medium. Some examples of nutrient rich mediums commonly used are perlite, gravel, peat moss, vermiculite and rockwood. 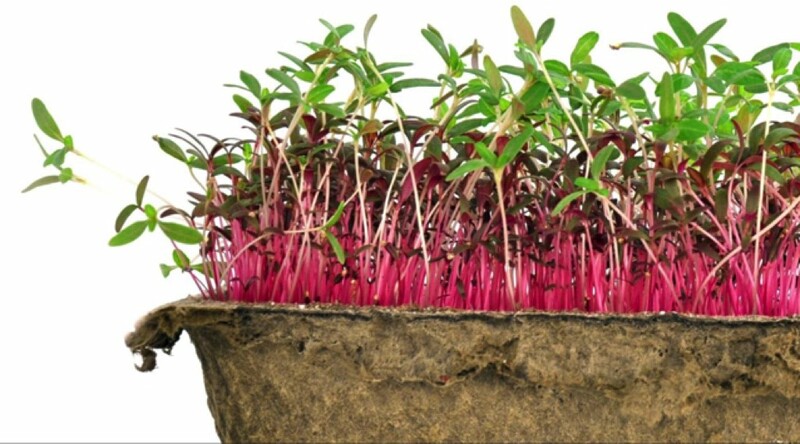 The basic concept of hydroponic is to enable the plant roots to directly receive nutrients from the medium. Oxygen and carbon dioxide, as other important supplements, are obtained naturally from the surrounding. Plants that are hydroponically grown are able to mature at a rate of 25% to 30% Faster than plants grown in soil medium. This is because, enough amount of nutrients are already provided to the plants. 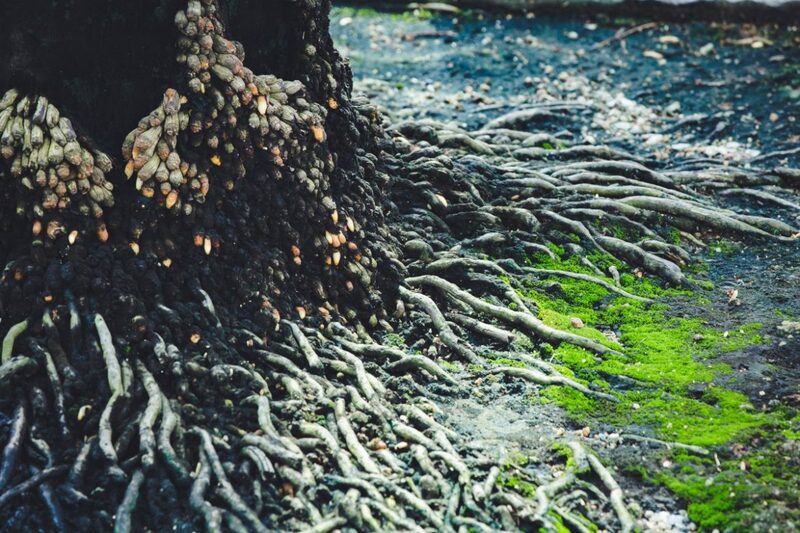 Since hydroponic system provides plants with the nutrients needed, there is no need for the plants to grow their roots long as in soil to search for nutrients. 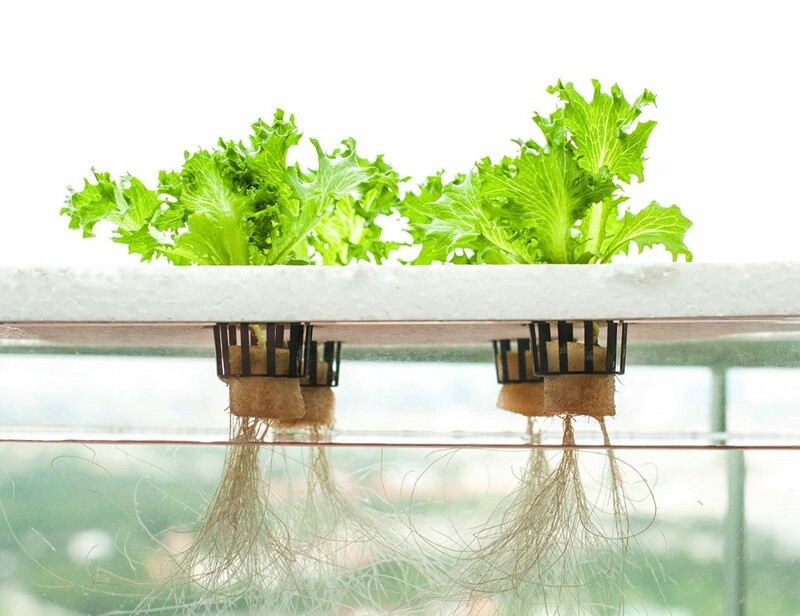 Therefore, hydroponic plants focus more on growing upwards rather than expanding their roots downwards. Hydroponics plantation uses less water in comparison with soil grown plants. This is due to the closed systems of the hydroponic method. Water does not evaporate or at least evaporates at a very slow rate, compared to soil. 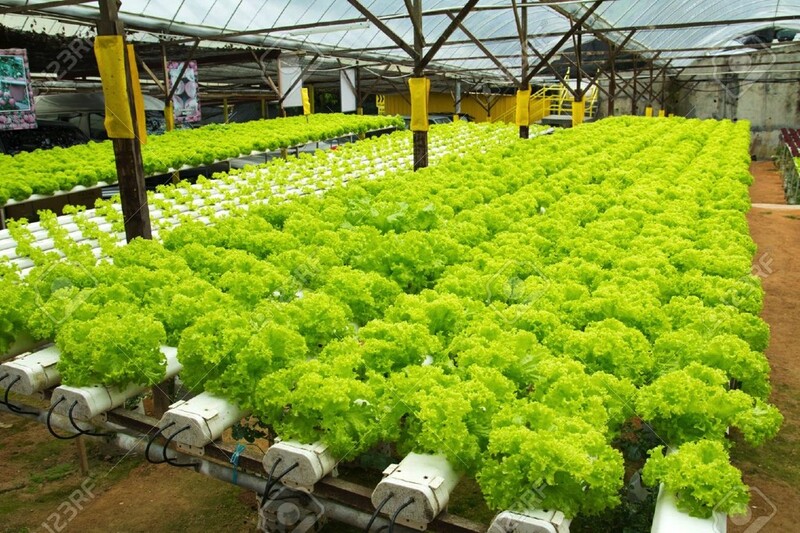 For high quality hydroponic system, the maintenance cost is much higher compared to soil based system. The nutrients used cost much higher than soil. In conclusion, if one wishes to start hydroponic plantation, care must be taken of the system to avoid failure and loss that can kill the plants if not attended to properly. Hydroponics is beneficial for a longer run with proper care.